By now, I’m sure you’re aware that a strong brand can really boost your speaking business. Much as we wish, strong brands don’t “just happen” and they’re not always easy to build. It takes a plan and a firm commitment to do the work involved in making it happen. For many speakers, their brand ‘personality’ is their own personality. If you’re a humorous or animated speaker, then your brand may be funny or animated. If you’re hard-hitting and serious, that’s likely your brand personality. It’s much easier and more effective to be yourself than to try to be someone completely different. There are a lot of high-level, super-awesome speakers out there — and deep down, some of us may want to “grow up to be just like them” one day. Your job is to be uniquely you… not exactly like them. Your perceived credibility & authenticity depend on this. 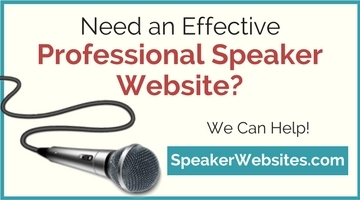 As you market your speaking business, be sure to have a unified approach. For example, if you’re a controversial personality (think Larry Winget), you’ll want to make sure you stir up controversy in your blog posts, articles, ads, email marketing, postcard mailings, and social networking communications. People want to know what to expect. Give it to them and you’ll strengthen your brand. If you aren’t consistent, you’ll confuse people — and confused people don’t buy. Take a look at your current marketing and content plan for the upcoming year. You’ll probably need to adjust some of the messages so they provide a consistent theme & personality. It may be as simple as creating a salutation or signature line that you’ll include in each communication, or it could be as elaborate as creating a new website that matches your personality. 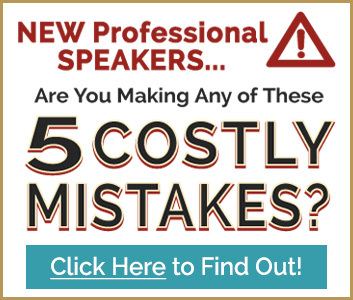 Sometimes small changes can make a big difference — but don’t hesitate to make bigger changes if it’s going to create more alignment with the goals of your speaking business. Remember that your personality doesn’t have to be big. It doesn’t have to be like somebody else, or an exaggeration. What it does need in order to grow stronger is a consistent approach. When each communication & marketing message supports your personality and personal brand, it becomes stronger in the minds of your prospects & clients. They’ll begin to identify with that personality and want to do business with you. Poke around this blog, read the marketing articles that interest you, and consider subscribing to the RSS feed. Over the next several months, you’ll find many new ideas, how-to’s, and specifics on developing your speaking brand. And, if you have an idea to share, be sure to comment!